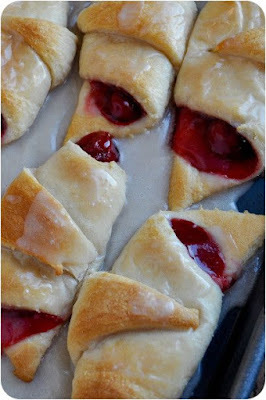 Easy Cherry Turnovers | FoodGaZm.. These sweet little breakfast pastries are not only easy to make, but they're the perfect blend of buttery pastry dough, tart cherries and sweet, creamy glaze. Enjoy!